Celebrate faith, family and the farm! 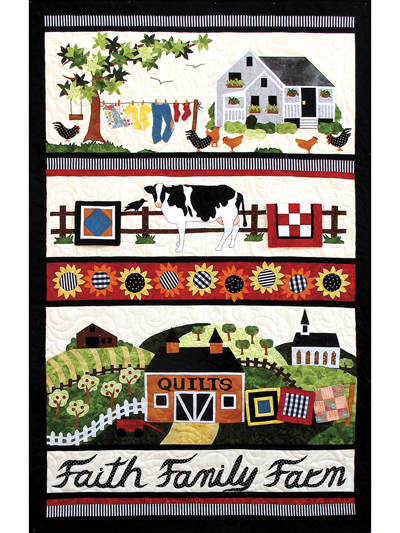 This quilt features detailed life on the farm and will make a great addition to your home as a wall hanging. 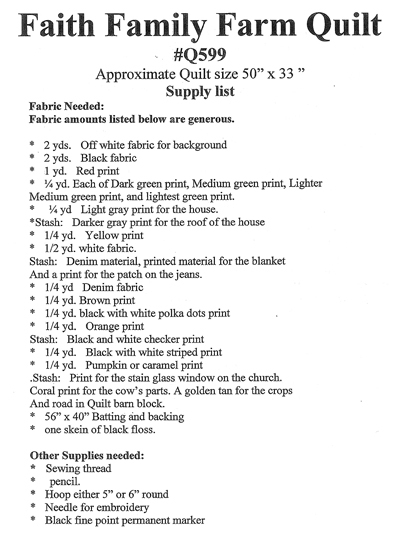 Use up your fabric stash to make this stunning quilt. Finished size is 33" x 50".